Robust interlocking ‘easy fit’ polyethylene floor tile. Exceptionally heavy-duty with a point loading of 40,000kg/m2. 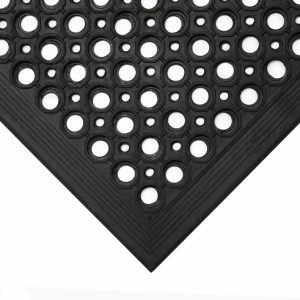 Interlocking drainage tiles, with a grid design to capture swarf and provide effective drainage. Comfortable alternative to cold, hard floors. 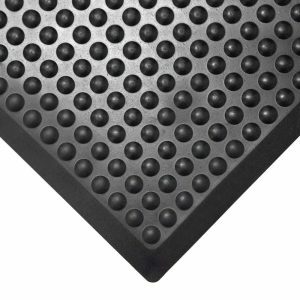 Our interlocking drainage tiles provide effective drainage of liquid and captures swarf, while providing comfort under foot. The robust interlocking tiles are easy to fit, and are able to cope with the weight of pallet trucks and trolleys. The tiles are a comfortable alternative to cold, hard floors. These interlocking drainage tiles are available in four colour options. 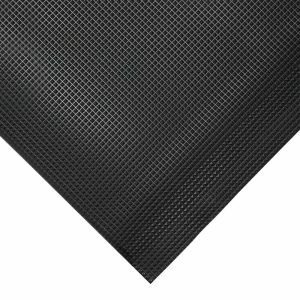 See our full range of Workplace Matting.